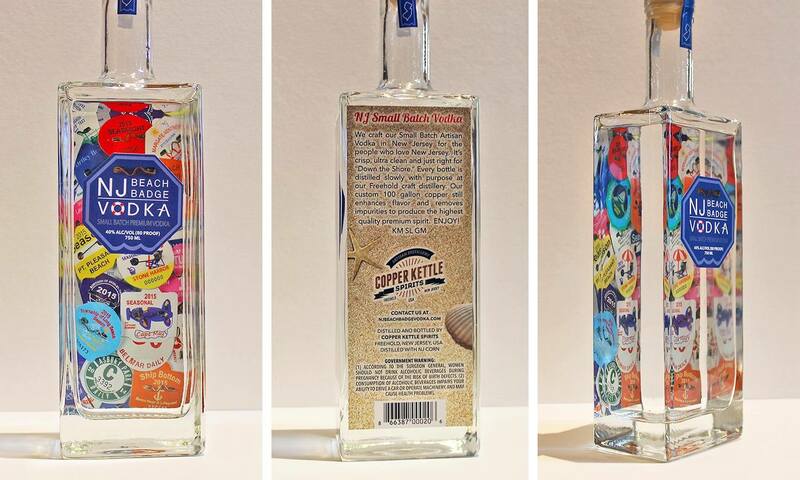 After turning to CMDS for help with developing the branding, logo and website for Copper Kettle Sprits, the partners of the company came to us with the challenge of creating unique branding for the first product line they were launching, NJ Beach Badge Vodka. Of paramount importance: to craft branding and create a product that truly represented the place they love the most, the New Jersey shore. CMDS knew that the bottle and label design would need to do justice to the passion behind the creation of this exceptional vodka. 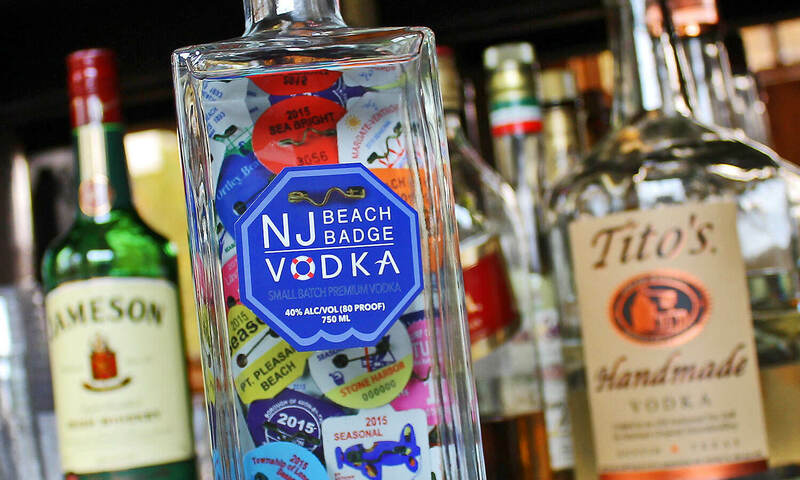 It would also need to enable NJ Beach Badge Vodka to stand out behind the bar or on the shelf to catch a consumer’s attention. A logo and bottle design reminiscent of the familiar beach badge that has come to symbolize the fun and freedom of summertime at the Jersey Shore was just the thing. 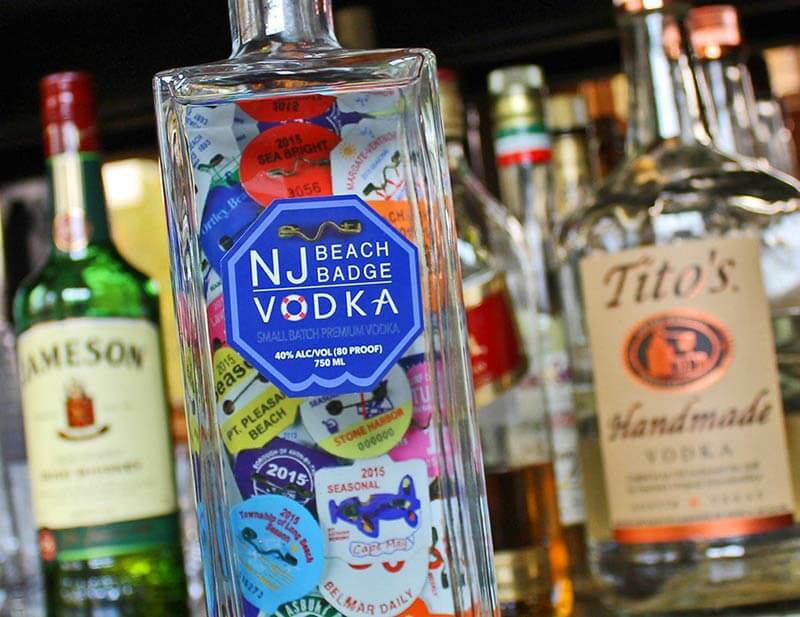 Once the client had amassed a colorful collection of badges from visits to favorite beach locales throughout the shore, we conducted several custom photo shoots to create the distinctive background for the bottle. We facilitated communication and collaboration between the client and the bottle manufacturer until we achieved the perfect art for our uniquely-shaped bottle. The resulting logo, packaging elements and branding are a true representation of our clients’ devotion to the place they call home, and their desire to produce and share a premium product with consumers who share their passion. It was important to develop a website for the distillery, Copper Kettle Spirits, that would express the distillery's mission and vision while allowing for expansion with each of the sprits brands as they rolled them out. CMDS created a custom WordPress website for Copper Kettle Sprits that did just that! The website allowed for "site within the site" functionality so that each brand could be independently marketed, while still being able to build brand loyalty (and cross-sell).